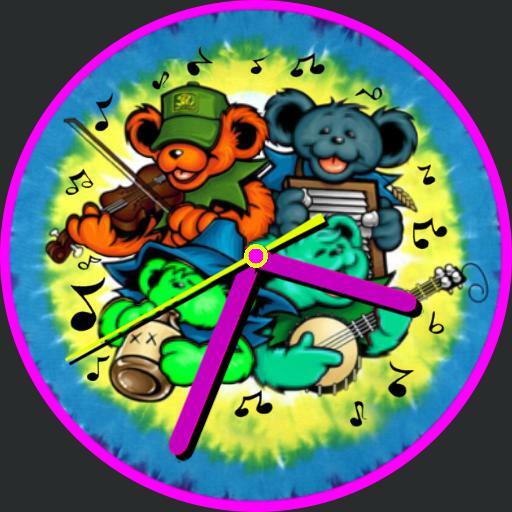 Grateful Time is a Grateful Dead tribute watch face, showcasing the iconic Dancing Bears, on a field trip to the Big River Jamboree. This watch face features an analog clock, battery meter, subtle parallax effects, a low power dimmed mode, and color changing bears for added fun. I hope you enjoy this watch face, and always remember that theres "nothing left to do but smile smile smile"